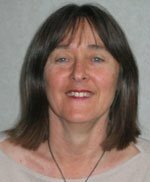 The Kotare School's Education co-ordinator/tutor is Catherine Delahunty. In the role since 1999, Delahunty's role involves teaching, running workshops and helping to arrange the many speakers, tutors and courses run regularly at Kotare. According to Campaign Against Foreign Control of Aotearoa's, "Foreign Control Watchdog" of December 2004 Catherine Delahunty is a CAFCA member and an activist on environmental, Te Tiriti and social justice issues living in Gisborne with her partner Gordon Jackman. She is the local candidate for the Green Party, works nationally as a radical community educator for Kotare Trust, and is a generic troublemaker (her own words). Born into a well known Wellington Communist family. Catherine Delahunty was an activist from her teens. In 1968 to 1970 she helped establish and run the radical Secondary Schools Students Association. SSSA involved Maoist, pro Soviet and even Trotskyite youth (UNITE's Mike Treen was a leading activist). By the late '80s, she was an active anti mining campaigner with the Coromandel Watchdog group. With her partner Gordon Jackman (now a Kotare Trustee) she became active in Greenpeace and by 1995 she was the organisation's community action laiason officer. According to her Green Party bio, she was also a facilitator/mediator in community issues, Te Tiriti workshops, anti mining campaign organiser(12 years), Oho Ake network member ( wastewater/anti racism campaigns, Te Tairawhiti), Trustee, Tairawhiti Beneficiary Advocacy Trust. Delahunty joined the Green Party in 1999 and has held many senior positions "Auckland Campaign Manager 1999 election, Auckland Co Convenor 2000-2002, East Coast candidate 2002, electorate contact East Coast 2002- 2004, Female National Co Convenor (2002- 2004), Convenor Strategic Plan group (2002-2004). In 2005 she was number 9 on the Green Party list, one spot ahead of another red turned Green, Russel Norman. In May 2005, Delahunty led a workshop at the Adult and Community Education Aotearoa Conference, entitled "DIY Action Reflection - with Paolo Freire and Kotare"
According to the conference notes; There will be a short drama process and then a reflection session, which will include the sharing of some research Kotare Trust has done on the influence of Paolo Freire on adult educators in Aotearoa. This research provides an insight into the diversity of action/reflection education in Aotearoa. As the lead educator at what is essentially a school for training Marxist activists, can Catherine Delahunty be classified as yet another of the socialists leading the Green Party? Are the Kennedy's gun shy? Can you do a post one day about the differing factions of socialism? i.e what is a marxist, leninist, maoist, trotskyite etc. Maybe provide members of the Greens, CTU or Alliance as examples :-) Colour me thick but I'd find it helpful !